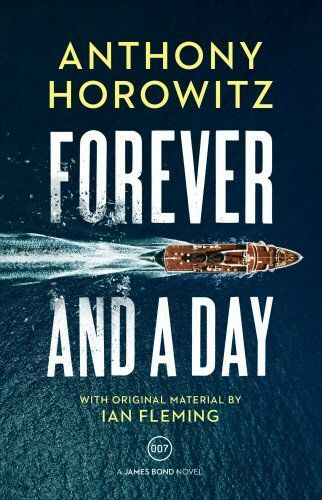 U.K. cover image for Forever and a Day, Anthony Horwitz’s second James Bond continuation novel. Yes, there are spoilers. Stop reading if you don’t want to see them. Art reflects the time when it was produced. So it is with Forever and a Day, the second James Bond continuation novel by Anthony Horowitz. The story mixes a 1950 setting with 2018 sensibilities. Specifically, IFP’s marketing emphasized how the new novel would show Bond being promoted to the Double-O section and depict his first mission with the code number 007. Horowitz’s story emphasizes the time period. It’s just five years after World War II ended and there’s plenty of uncertainty. The reader is treated to a bit of M’s philosophy in managing the Double-O section and how it reflects what’s occurring in 1950. At the same time, there is a 2018 mind-set present. The female lead, Joanne Brochet, aka Sixtine, aka Madame 16, is introduced as a mysterious character. Before the novel ends, she’s like a more subtle version (at least in personal style) of Jinx from the Eon 007 film Die Another Day. Just to be clear, Sixtine is a much more developed character than Jinx. But they’re comparable in their abilities to inflict death. By the time I finished the novel, I imagined what it would be like if Sixtine were a character in an Eon 007 movie. She’s Bond’s equal in every way. She takes her destiny in her own hands. She’s not passive. In Forever and a Day, it turns out Sixtine is even better at killing than Bond is. She makes clear to Bond they will only make love on her terms. And she’s older than Bond. Bond himself changes because of their relationship. When he first meets Sixtine, there’s this passage: “She was about ten years older than him and, for Bond, that made her at least fifteen years too old to be truly desirable.” The agent feels considerably differently when they part ways. Just to be clear, I enjoy big villain speeches when done well. The one Horowitz writes keeps you reading. But I couldn’t help but notice the similarities to what’s happening in 2018 with talk (via the villain) of why the U.S. should be more isolationist. One other note: Whether intentional or not (my guess is not), the plot of the villains has a strong resemblance to a villain’s plot in a certain Roger Moore 007 film. The dynamics aren’t identical. The movie villain expects to get even richer; Horowitz’s villain expects the opposite but is doing it for a far different reason. This, of course, doesn’t figure into the theme of 2018 creeping into Horowitz’s 1950 tale. But it is there. The website of Penguin UK now an excerpt of Forever and a Day, the new James Bond continuation novel by Anthony Horowitz. The excerpt consists of M and his chief of staff Bill Tanner discussing a fatality in the Double-O section and what to do about it. This leads to James Bond getting accepted into the section. The excerpt includes an exchange between M and Tanner that was included in an Ian Fleming Publications announcement of the book back in February. The novel is set in 1950 (“And now, just five years after VE Day…”) and is a prequel to Ian Fleming’s first Bond novel, Casino Royale. Essentially, the extract provides a reader the setup to the story of Forever and a Day. The novel will be published May 31 in the U.K. It won’t be published in the U.S. until November. Early reviews of the newest James Bond continuation novel, Forever and a Day, are coming in. 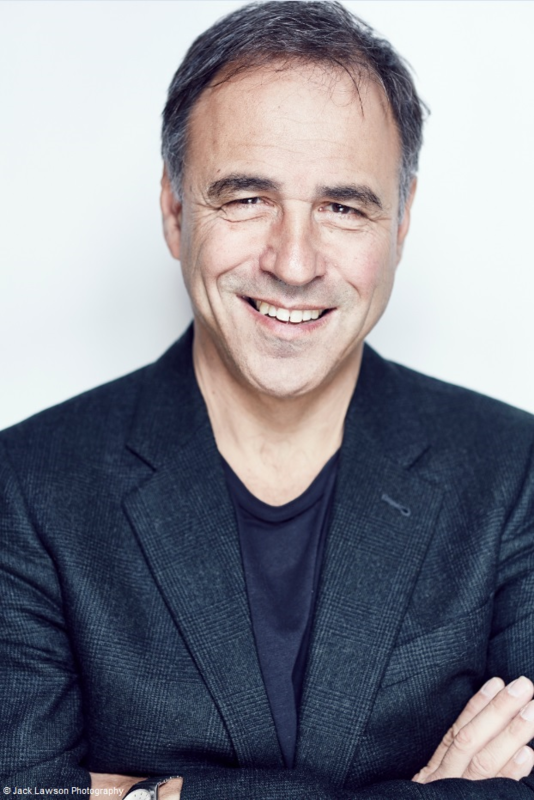 The novel, by Anthony Horowitz, will be published in the U.K. on May 31. It won’t be published in the United States until November. This is Horowitz’s second Bond novel. The first, Trigger Mortis, was set in 1957 after the events of Goldfinger. The new novel is a prequel to Casino Royale. What follows is a mostly no-spoiler sampling of reviews. However, those who want to know absolutely nothing about the book should stop reading. Ian Fleming Publications said in a statement today that actor Matthew Goode will narrate the audio book version of the new 007 continuation novel Forever and a Day. The new book, written by Anthony Horowitz, is a prequel to Casino Royale, Ian Fleming’s first James Bond novel. The novel will be published at the end of this month in the U.K. It won’t be published in the U.S. until November. It’s the second Bond novel from Horowitz, who penned 2015’s Trigger Mortis. The IFP statement also has a short audio clip of Goode reading a passage from Forever and a Day. Ian Fleming Publications formally unveiled the U.K. cover for Forever and a Day, Anthony Horowitz’s second James Bond continuation novel. The cover, not surprisingly, utilizes the same image that showed up a few days ago on the U.K. Amazon website’s listing for the book. However, IFP also showed the back cover as well. The back shows a gun. With the back and front covers combined, it makes it appear as if a boat was fired from the gun. IFP’s formal announcement included a 22-second video that jazzed things up a bit. The novel, a prequel to Casino Royale, the first Bond novel, goes on sale in the U.K. on May 31. Vintage UK, the publisher, will also have a new paperback edition of Casino Royale, with an introduction by Horowitz. You can view IFP’s video below. Forever and a Day won’t reach the United States until November. David Leigh of The James Bond Dossier website came across some news on Wednesday — the Amazon U.K. website published an image for the British edition of Anthony Horowitz’s second James Bond continuation novel. Ian Fleming Publications on Feb. 8 announced the title of the Horowitz novel. 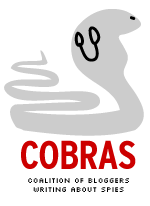 But the announcement only had a placeholder image. Presumably the cover references that setting. The cover also confirms that the new Horowitz novel contains some Fleming material. Horowitz’s first Bond novel, 2015’s Trigger Mortis, included some Fleming material originally pitched as part of a 007 television series. Forever and a Day is scheduled for a May 31 release in the U.K. The novel won’t arrive in the United States until November. Amazon’s main website still lacks an image for the U.S. edition of the novel. For American fans of the literary James Bond, it will merely seem like Forever and a Day to get the new 007 continuation novel. The novel, by Anthony Horowitz will be published Nov 6, publisher HarperCollins said today in a listing on its website. The American publication will be more than five months after it debuts. The second 007 effort by Horowitz is coming out on May 31 in the U.K., Ian Fleming Publications said on Feb. 8. IFP only said at the time that Forever and a Day would be published in the U.S. in the fall. As it turned out, HarperCollins also put out a Feb. 8 statement saying it had acquired the U.S. rights. The publisher said in that statement the book would come out in November. Forever and a Day is a prequel to Casino Royale, Ian Fleming’s first Bond novel. Horowitz’s first 007 continuation novel was 2015’s Trigger Mortis.